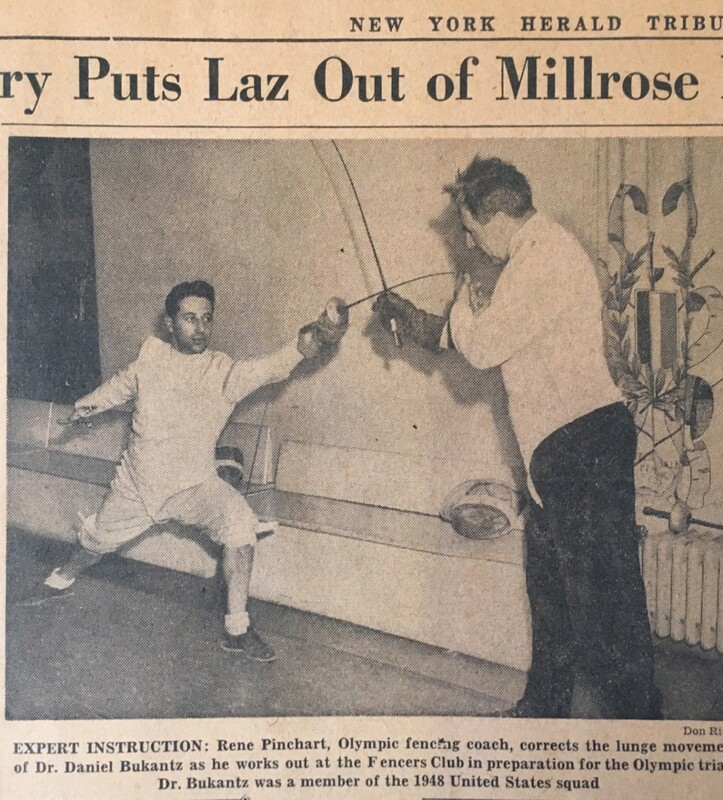 In the two years since I got involved to help our Alma Mater’s fencing team, I have come across some odd and unusual stories. All of them related to fencing and fencers at the CCNY over the past few decades. 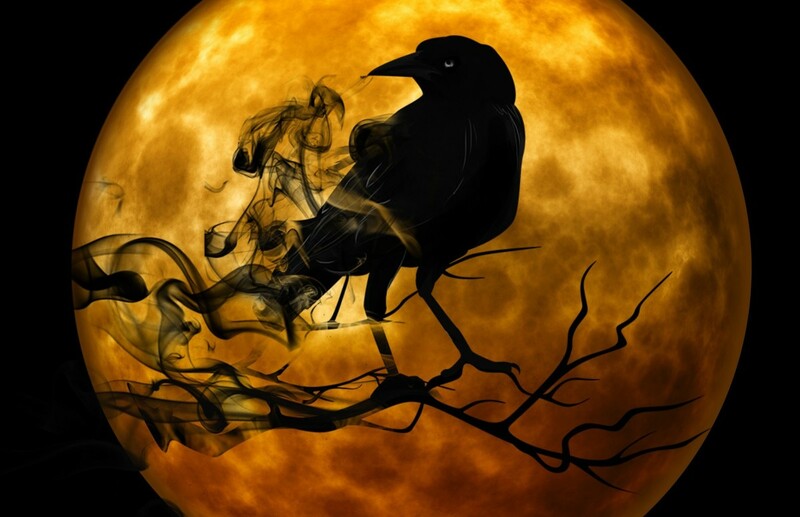 These stories came about randomly and some due to a death and revealed in their obituaries. I am sure I will be adding to this list as time goes by. The people named here are all deceased. If any information is inaccurate, I apologize. Please contact me in the comment section below and I will make any corrections. Dr. Bukantz graduated from CCNY in 1938 and went on to NYU and received his degree in Dentistry in 1944. In between, he was in the army 87th infantry and part of General Patton’s army and participated in the battle of the Bulge. 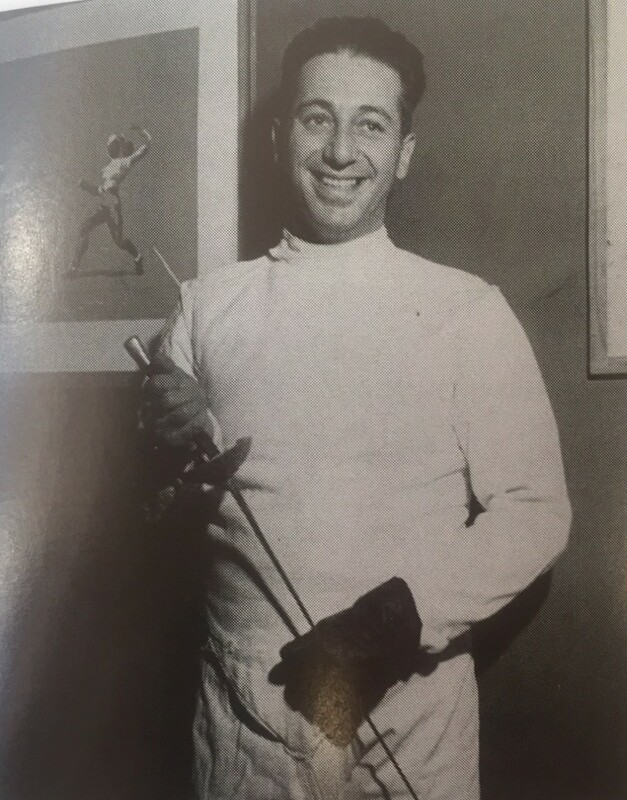 He is most famous for being an accomplished fencer, first at CCNY Varsity Fencing and later being on four Olympic teams from 1948-1960. He was a member of the Fencers Club, the oldest fencing club in America started in 1883. His story is memorialized by his son Jeff Bukantz in a book written in 2006, called “Closing the Distance”. It describe a touching story between a father and a son, competing to be the best, and the details of the odd sport of fencing. Closing the distance refer to his son’s attempt to chase his father’s record of accomplishments in fencing and a double entendre in the fencing attack move of getting close to your opponent to score a touch. His obituary paints a picture of a giant who has done more in his life than most. Yet, a humble and gentle man who is always the gentleman both on and off the strip. 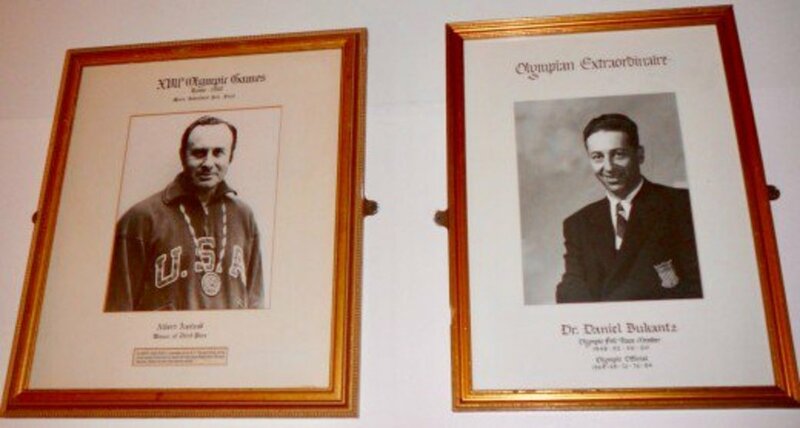 Dr. Bukantz was inducted to the CCNY athlete Hall of Fame in the first year of introduction back in 1967. 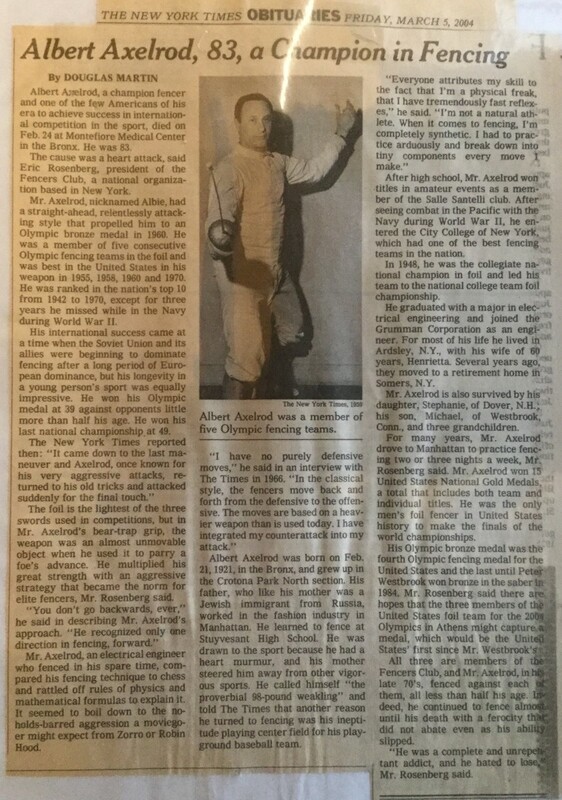 Albie as he was known was another giant of CCNY Fencing back in the 1940s. He was a 5 times olympian and won a bronze medal in the 1960 Olympics in foil. He was also inducted to the CCNY athelete Hall of Fame in 1968. He worked for the Grumman Corp. as an electrical engineer. 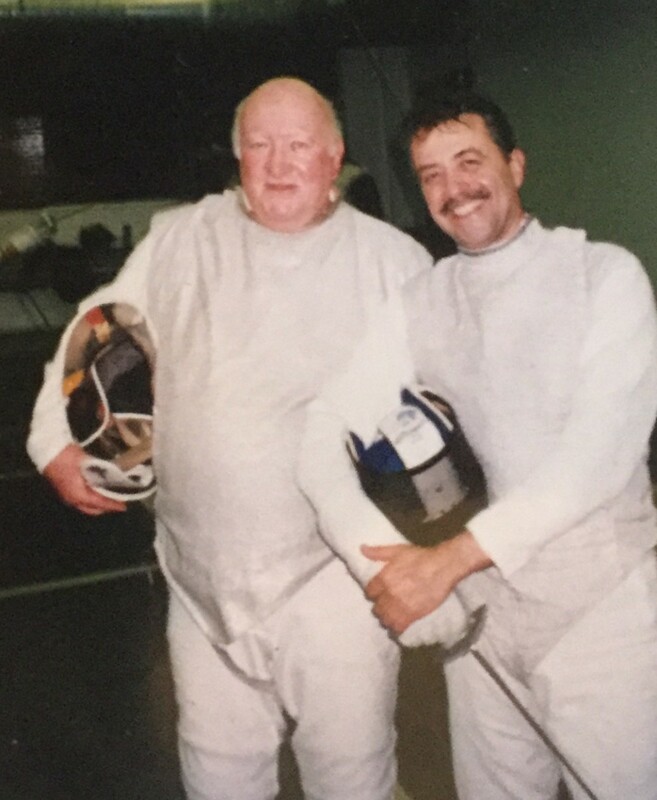 He along with teammate Dan Bukantz were a fixture at the Fencers Club where they trained and competed. This is one of those tragic stories that came out of no where. I first learn of this from her husband Dr. David Goodstein. He found our Friends of CCNY Fencing website and reached out to me. Apparently, his wife Olga was a fencer at CCNY years ago. Later, he and his wife met at Cornell while both were working on their PhD. He was also a fencer and that was their common bond. Afer graduation, they both went on to a long career in sciences. Perkovic had a doctorate in physics from Cornell University and had last worked at Zymergen, a biotechnology company in Emeryville, California. They have three children two daughter and a son. In a freak ski accident last winter, she and her son both died tragically from a snow avalanche. In her memory, he decided to make a donation to the women’s varsity fencing team. He gave 14 new lame jackets to the team. This generosity could not have come in a better time. The school is under going some serious financial difficulty. The team is making progress in its turn around with the help of alumni and volunteer coaches. This story was forwarded to me by a friend at CCNY. She read in the local paper of this professor at Princeton who died recently. His obituary mentioned the fact that he was a graduate of CCNY and was a member of the fencing team. 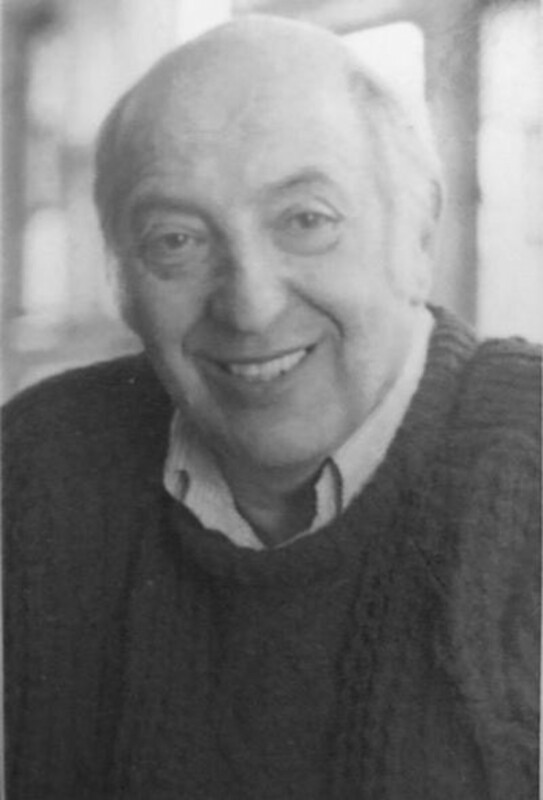 His legacy includes a long teaching career at Princeton in near Eastern Studies. His interest in fencing has prompted his grand daughter to follow into this sport. She is currently the top ranked Sabre fencer in the UK where she lives and works. Joel graduated with a degree in psychology. 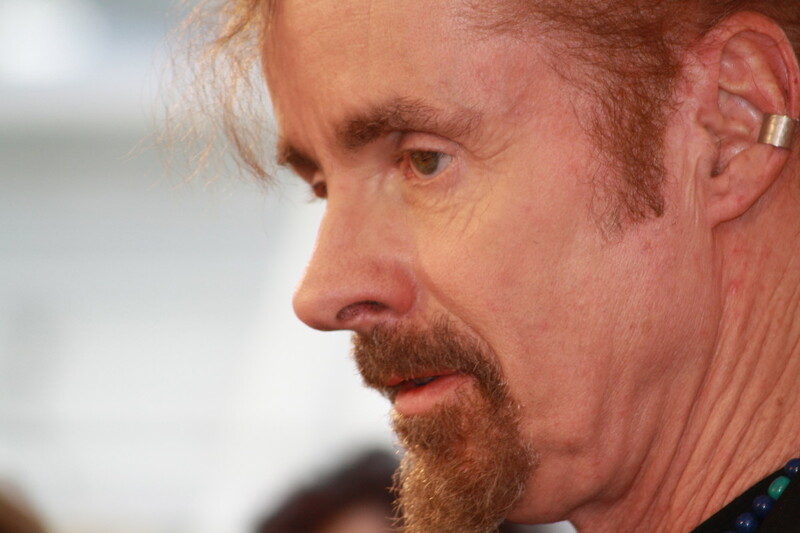 He was an actor, a restauranteur, and a massage therapist. You can read Joel’s story here. Apparently, he was quite well known for his french restaurant. These four gentleman, Neil Lazar, Frank Seeley, Edward Lucia and Roi Green were among the top coaches at CCNY. 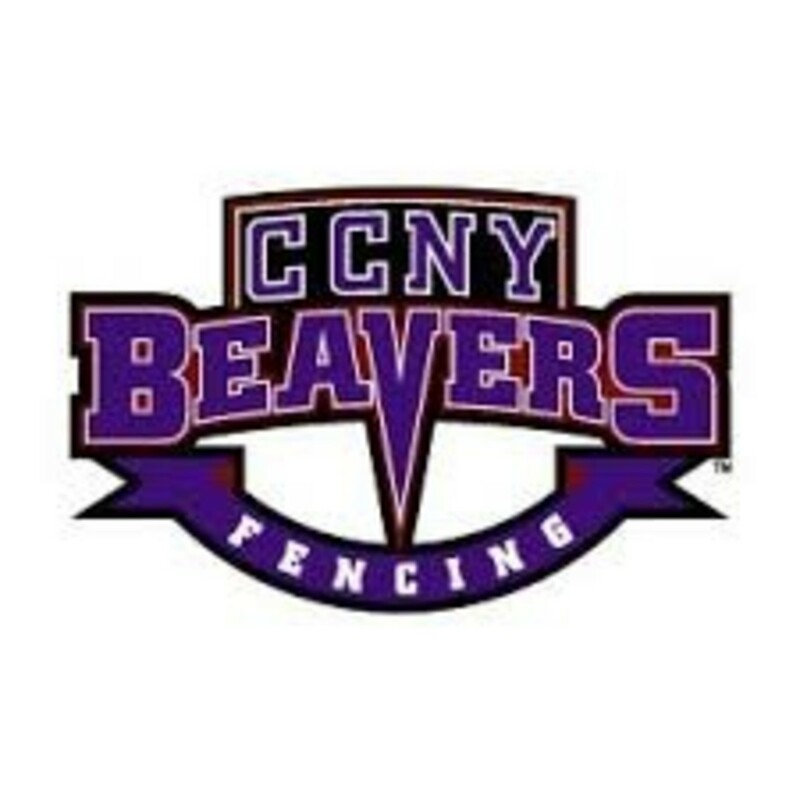 Their story were documented in our website here - Friends of CCNY Fencing and won’t be repeated here. 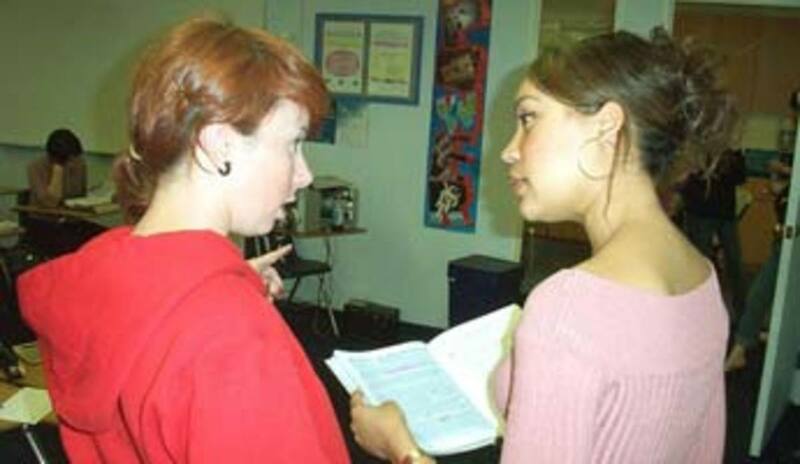 Their love for the sport, and their teachings have benefited countless students. There dedication and excellence cannot be over stated. They deserve all the honor bestowed upon them. 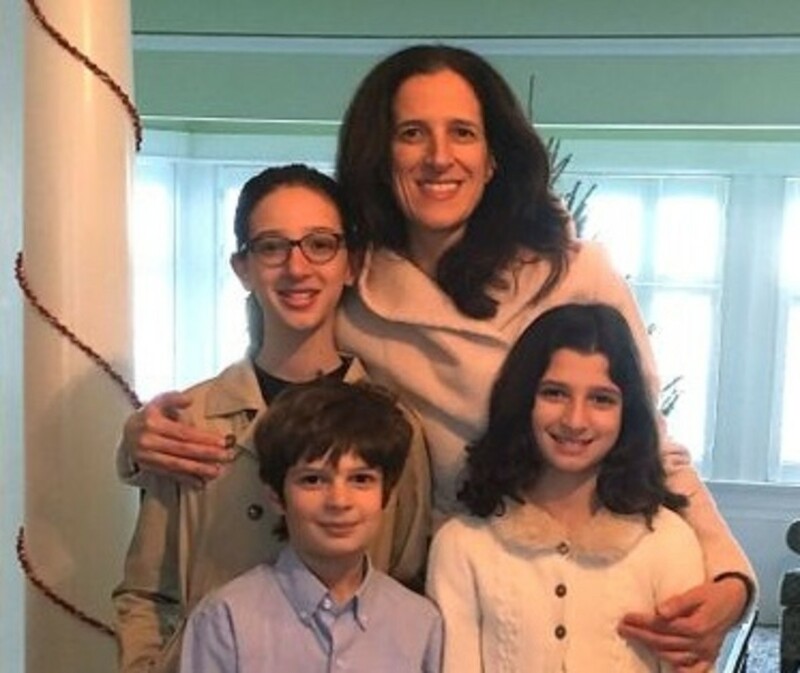 Olga Perkovic taught her son Aaron, 7, and two daughters how to ski. She had plans to refurbish ancestors' European home. This journey has been very rewarding for me. Every new day brings some unexpected connection to the past. As of now, we have reached over 30 alumni fencers from the 1960-1970s generation. It is just the beginning. If you have a story, please contact me in the comment section below. You can just enter your name as a guest and submit your opinion or contact information. I will be sure to get back to you. Physical Focus: A Look at T.C. Boyle's "Carnal Knowledge"
Fascinating stories bring the photos to life in this article. It sounds easy but it is not. When two people are on a strip, constrained to only moving forward or back, keeping a proper distance is how you prevent from getting hit and possibly score a touch. The footwork training enables the fencer to keep the proper distance at all times. 7 weeks ago from Spring Valley, CA. U.S.A. I did a little time in this sport for a simple reason. Footwork. The dance. Probably forty five years ago. Skiing and football was the reason.This is an art of life.